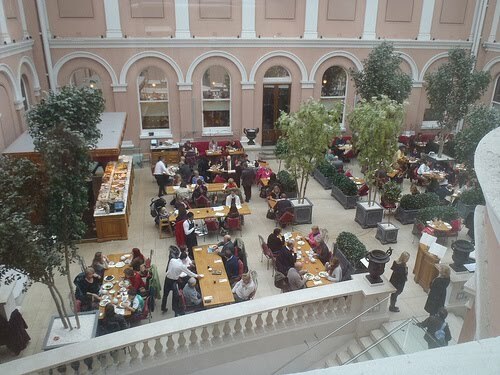 Set in a glass atrium that is also home to the Wallace Collection's sculpture garden, the Wallace Restaurant is a French brasserie, which promises seasonal dishes with imported French ingredients. Part of Peyton & Byrne's extensive museum and gallery cafe arsenal, the Wallace Restaurant is undoubtedly an atmospheric place, even if the main menu is a bit beyond your author's means. The restaurant is open daily from for breakfast, lunch and afternoon tea, and also for dinner on Friday and Saturday nights. For more information, visit http://www.thewallacerestaurant.co.uk/.